DEN currently has 111 gates with 38 ground load positions. Passengers access the gates via the A, B and C concourses. To reach the A Gates, passengers can choose to walk over a pedestrian bridge or take the passenger train. Access to B and C Gates is limited to the passenger train. In May 2018, DEN broke ground on a project which will add 39 new gates to the airport by 2021, an increase in gate capacity of 30 percent. The new gates will be added to the ends of each concourse, providing all of DEN's airlines an opportunity to grow and for DEN to accommodate new airlines, including international carriers. 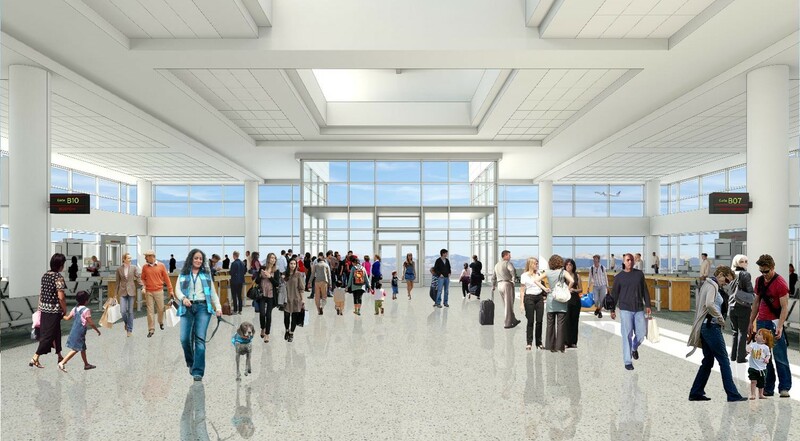 In addition to increasing capacity, more passenger amenities will be added including food and shopping, charging stations and even outdoor space where passengers can enjoy Colorado’s beautiful weather and scenery.